How to trump a trigger. A trigger is an internal reaction to an external energy, action, feeling, or incident that — once introduced to the body — can highjack and temporarily overtake the emotional, nervous, and mental systems. While in a triggered state, we may feel uneasy, anxious, overwhelmed, or not safe. We may lose our sense of self and temporarily get caught up in the trigger. If you are not sure if you’re in a triggered state, ask yourself if you are caretaking your life and putting your needs first. If you are obsessing with social media, distracted, out of sync with your normal routine, and not nurturing your body and life, these are signs you may be in a trigger state. 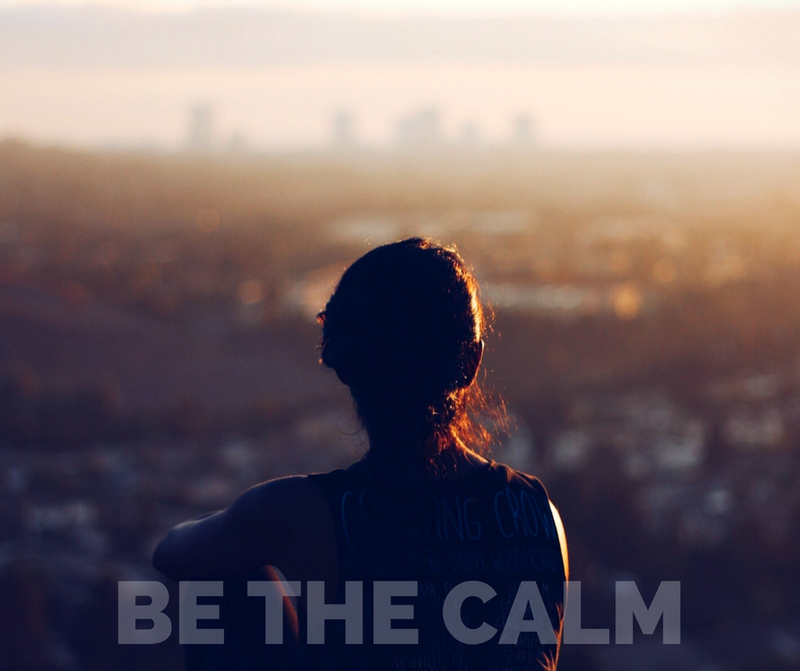 If this sounds like you, take a deep breath, and read these tips to help you find the calm in the chaos. Tip 1. Stop. Acknowledge the trigger. Admit you are triggered, and allow it. Do not push it aside, or try to ignore it, because it will continue to act out in your nervous system. Stop. Acknowledge the trigger and bring awareness to how your nerves and emotions are doing. Recognizing the trigger will help you to understand your body behavior better. By allowing the trigger, we don’t repress its energy and what it is expressing to us about our needs, worries, and fears. Tip 2. Detach. Step off the trigger-making media grid. By consciously detaching from negative stimulus, you are giving your nervous system support to come back into its own (hopefully slower and more restful!) rhythm and pace. Do you remember the red, orange, and yellow terror alerts that were broadcast on television just after September 11, 2001? Did you understand the meaning of the alerts? Did they increase fear and worry? Crisis consciousness is a part of our co-created human reality. We can become stuck or addicted to trauma events, bad news, and worry. It is important to give yourself moments off the information grid, time when you do not follow the news or social media, or even talk to friends about unrestful, stressful situations. We can create a more stable life through the choices we make. Every day, you have the choice to decide what type of information you are willing to take in, what is healthy, and what is not. If you notice that you are triggered by too much news, upsetting media, or friends who constantly broadcast news that upsets you, give yourself time to pull back, step away from that information, and nurture yourself. Tip 3. Listen to your body. When in a triggered state, we can lose touch with our bodies and be overly focused on circumstances outside of ourselves. Bodies are amazing creations. They hold tension, creativity, patterns, good and bad feelings, intelligence and emotions — and all this information and energy runs through the nervous system. When we are in touch with our bodies, we are in touch with ourselves. Set a timer for five minutes, then close your eyes and bring your awareness inside the body. Gently listen to your breath. Don’t try to change anything, just be inside yourself without an agenda and without judgment. Then, after a minute or so, on every in-breath, see if you can start to soften and relax your breathing. Imagine the breath deepening and widening in your body. From inside yourself, feel the soft breath moving up and down your spine, from your tailbone to the center of your mind. Imagine a soft wave of good feeling energy moving up and down your body, releasing stuck energy and relaxing the mind. Gently move your awareness to other parts of the body that feel tight, use your breath to relax any tension and release constricted emotions, and drop deeper into your body as you keep your focus relaxed and neutral. When the timer goes off, slowly open your eyes, appreciate yourself for checking in with your body, and from this centered state, set your intentions for the rest of the day. When in a trigger state, the nervous system sends a signal to the brain and body that something isn’t right. It is this signal that we want to shift. Imagine that the signal is an electrical current sending a pulse that is out of sync and out of rhythm with the rest of the body. That signal creates agitation and unease. Our nerves are trained to pick up on the energy of other people. This is a natural part of our survival programming. If others are out of sync, especially when a whole nation goes into trauma, our nerves are likely to pick up on this and start to resonate with the masses. The best medicine to shift from a triggered state is to create an experience that feels good to you and calms the system. Get to nature. The earth, grass, dirt, water, and sand are a natural ground for the electricity in the body. Connect to the earth by lying under a tree or taking a salt-water swim. This will help your body come back to its own resonance, and will calm the nerves. Surround yourself with good experience. Seek out good people and cultivate good feelings. Try Restorative Yoga. Restorative poeses are easy and designed to help your body and mind let go. Even if you are not the meditation type, this yoga supports relaxation and works for all body types, yoga experience levels, and ages. Spend time with friends. Cook healing foods and celebrate the good moments you have in your life. Take action. If it is time to put some energy into politics or a creative project you have been dreaming of, decide how much time and energy you’ll need to invest, and take reasonable, focused steps forward. Your efforts should integrate with, rather than overtake, your life. Often, creative energy needs permission to flow. Once we motivate, we shift our pent-up creative energy — sometimes felt as a trigger — into action. Get professional help. If you are experiencing a constant feeling of unease and fear, start to make a plan to consciously work with those feelings. There are many ways to heal the nervous system and work with trauma, and there should be no shame in admitting you don’t feel safe. By gently nurturing yourself, you can reset the trigger and know that even though there is chaos, you are Okay. Tip 5. Trust your intuition. Learning to check in, listen, and trust our intuition is a good way to soothe the fears of the unknown. When we shift into a trigger state, sometimes a state of fear experienced by the inner child can take over, and we may lose our sense of internal direction. That inner kid holds a lot of creativity and wonder, but when fear is triggered, it can squelch our creative magic and undermine self-trust. The unknown becomes the monster of the moment. Your intuition is that wise inner presence, the expansive self, the self that knows more about what is really happening than our conscious mind tells us. For some, intuition is a leading sense, and for others intuition lives just below the level of awareness. Some of us trust and follow our gut, and others may override what they instinctively know. If you doubt your knowing, don’t worry: intuition is an innate part of our intelligence and a gift we all can develop. First, get clear on what you need to know, figure out what’s important to you, and form a question or two around that. Then, gently close your eyes, slow your breath, and relax. Invite your deeper awareness and your wisdom to gently awaken and be present. Slow down and shift inward. With a soft focus, ask your question to yourself internally, and then gently release it. While in a calm state, see, feel, and sense what information shows up. What words, feelings, and visions move through your awareness? Don’t worry about catching what’s moving through, just stay mentally and emotionally loose. When you feel ready, open your eyes and write down your immediate impressions, feelings, and insights around the question. From this perspective, you’ll come to different answers, ideas and solutions than you would from a triggered state. Slowing down, asking the right questions, getting clear and trusting what we feel inside is key. Our intuition can help us move from reactive living to a life of making grounded choices based on what we feel internally. Discernment is the ability to judge well. When we are in a triggered state, we may feel as if we lose the ability to choose, and we can feel overwhelmed. It is important in these moments to remember that you have the capacity to discern and use your inner knowing to make powerful decisions about where to put your attention. You are the sole owner of your valuable energy, time, and awareness. Discernment is a great tool to help maintain focus on what is important to you. Take time and figure out what your priorities are. Once you’re aware of what is most important to you, you can use that knowledge as a filter to discern what information, relationships, and issues matter to you — along with what you can let go of. Once you know your priorities, it can be a moment-to-moment practice to stay focused on them and not get distracted by other stressors, non-priorities, and news of the day. The goal here is to help train the mind to be focused on your needs and desires, and on what you want to create. There are many situations in life where we have the opportunity to get sidetracked. By exercizing discernment and trusting what feels “right”, we can protect ourselves and not get lost in the maelstrom of confusion, doubt, overwhelm, or negativity. Decisions are important. They define our life and our future. When we use discernment, we have a conscious connection to our choices and how we would like to move in the world. If you can be perfect without beating yourself up — go for it! It is more likely there is a voice in your head that says you are not good enough. This voice is connected to a part of you that is self-destructive and bullies you into pushing yourself into behaviors that create pain. Perfectionism is a killer, it weakens creativity, attacks the body, creates anxiety and suppresses the inner will. By deciding to be imperfect you loosen the grip of self destructive energy and can slowly start to move beyond subconscious survival strategies and perceived boundaries that limit you. Try to welcome your mistakes and move forward with a gentle sense of self acceptance and inner compassion. As you build up your, “I am NOT perfect!” muscle, you will find you create better resilience, self trust and can open yourself up to more elevating experience. Try being imperfect, own your mistakes and create more flow and ease in your life. Enjoyed this article? Please follow me! I teach tools and counsel for self advocacy, developing self trust, deepening intuition, work-life balance and inner empowerment. The goal is to gently shift unhelpful patterns so habits and behaviors work for you. Connect at [email protected].